It's not an actual coin, it's "cryptocurrency," a digital form of payment that is produced ("mined") by lots of people worldwide. It allows peer-to-peer transactions instantly, worldwide, for free or at very low cost. Bitcoin was invented after decades of research into cryptography by software developer, Satoshi Nakamoto (believed to be a pseudonym), who designed the algorithm and introduced it in 2009. His true identity remains a mystery. This currency is not backed by a tangible commodity (such as gold or silver); bitcoins are traded online which makes them a commodity in themselves. Bitcoin is an open-source product, accessible by anyone who is a user. All you need is an email address, Internet access, and money to get started. Only 21 million bitcoins are ever to be mined (about 11 million are currently in circulation). The math problems the network computers solve get progressively more difficult to keep the mining operations and supply in check. This network also validates all the transactions through cryptography. Internet users transfer digital assets (bits) to each other on a network. There is no online bank; rather, Bitcoin has been described as an Internet-wide distributed ledger. Users buy Bitcoin with cash or by selling a product or service for Bitcoin. Bitcoin wallets store and use this digital currency. Users may sell out of this virtual ledger by trading their Bitcoin to someone else who wants in. Anyone can do this, anywhere in the world. There are smartphone apps for conducting mobile Bitcoin transactions and Bitcoin exchanges are populating the Internet. Bitcoin is not held or controlled by a financial institution; it is completely decentralized. Unlike real-world money it cannot be devalued by governments or banks. Instead, Bitcoin's value lies simply in its acceptance between users as a form of payment and because its supply is finite. Its global currency values fluctuate according to supply and demand and market speculation; as more people create wallets and hold and spend bitcoins, and more businesses accept it, Bitcoin's value will rise. Banks are now trying to value Bitcoin and some investment websites predict the price of a bitcoin will be several thousand dollars in 2014. Bitcoin is transferred instantly over the Internet. Unlike credit cards, Bitcoin can be used for free or very low fees. Without the centralized institution as middle man, there are no authorizations (and fees) required. This improves profit margins sales. Only the Bitcoin owner can send payment to the intended recipient, who is the only one who can receive it. The network knows the transfer has occurred and transactions are validated; they cannot be challenged or taken back. This is big for online merchants who are often subject to credit card processors' assessments of whether or not a transaction is fraudulent, or businesses that pay the high price of credit card chargebacks. As we have seen with recent hacks on national retailers' payment processing systems, the Internet is not always a secure place for private data. With Bitcoin, users do not give up private information. They have two keys - a public key that serves as the bitcoin address and a private key with personal data. Transactions are "signed" digitally by combining the public and private keys; a mathematical function is applied and a certificate is generated proving the user initiated the transaction. Digital signatures are unique to each transaction and cannot be re-used. The merchant/recipient never sees your secret information (name, number, physical address) so it's somewhat anonymous but it is traceable (to the bitcoin address on the public key). 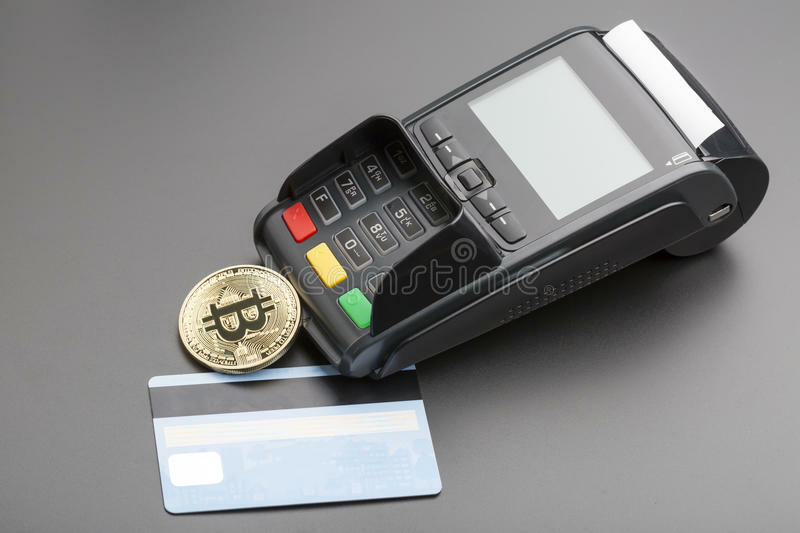 Merchants can use Bitcoin entirely as a payment system; they do not have to hold any Bitcoin currency since Bitcoin can be converted to dollars. Consumers or merchants can trade in and out of Bitcoin and other currencies at any time. Bitcoin is used around the world; e-commerce merchants and service providers can easily accept international payments, which open up new potential marketplaces for them. The network tracks and permanently logs every transaction in the Bitcoin block chain (the database). In the case of possible wrongdoing, it is easier for law enforcement officials to trace these transactions. Bitcoins can be divided down to one one-hundred-millionth, so running small payments of a dollar or less becomes a free or near-free transaction. This could be a real boon for convenience stores, coffee shops, and subscription-based websites (videos, publications). At checkout, the payer uses a smartphone app to scan a QR code with all the transaction information needed to transfer the bitcoin to the retailer. Tapping the "Confirm" button completes the transaction. If the user doesn't own any Bitcoin, the network converts dollars in his account into the digital currency. Hotels can accept Bitcoin for room and dining payments on the premises for guests who wish to pay by Bitcoin using their mobile wallets, or PC-to-website to pay for a reservation online. A third-party BTC merchant processor can assist in handling the transactions which it clears over the Bitcoin network. These processing clients are installed on tablets at the establishments' front desk or in the restaurants for users with BTC smartphone apps. (These payment processors are also available for desktops, in retail POS systems, and integrated into foodservice POS systems.) No credit cards or money need to change hands. A relatively small number of ordinary consumers and merchants currently use or understand Bitcoin. However, adoption is increasing globally and tools and technologies are being developed to make participation easier. It's the Internet, so hackers are threats to the exchanges. The Economist reported that a Bitcoin exchange was hacked in September 2013 and $250,000 in bitcoins was stolen from users' online vaults. Bitcoins can be stolen like other currency, so vigilant network, server and database security is paramount. Users must carefully safeguard their bitcoin wallets which contain their private keys. Secure backups or printouts are crucial. Bitcoin is not regulated or insured by the US government so there is no insurance for your account if the exchange goes out of business or is robbed by hackers. Bitcoins are relatively expensive. Current rates and selling prices are available on the online exchanges.